Subscribe now to Anti Age Magazine and receive your magazine directly to your home every three months. You’ll never miss an issue! If you wish to stop a magazine subscription immediately and arrange for a refund for any unmailed issues remaining, please call us. Please use this website or contact us to change or cancel a subscription. Your subscription will stop when the term for which you have already paid runs out. Your credit card will not be charged again for the cancelled subscription. Once you’ve finished with your magazines, pass them along to friends, neighbours or colleagues to enjoy. Many hospitals, seniors’ residences, community centres, libraries or medical/dental waiting rooms welcome magazine donations. Your local school or daycare centre may want your used magazines for reading programs and/or arts and crafts use. If your municipality offers a blue box type of waste recycling program, please be sure to use it for your magazines and other household paper. ANTI -ÂGE MAGAZINE is one of the rare magazines that publishes such a high quality articles. More than 100 experts from different countries, the best internationally recognised doctors reveal their secrets to our readers. They give practical and useful advises to the anti-age patients from different countries. Our selection of « Places to go » (French and Swiss rivieras, Russia, Dubai, Hong Kong….) 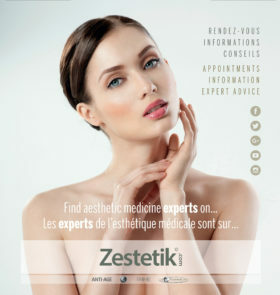 offers more visibility to clinics and « dream destinations » to our readers. ANTI AGE MAGAZINE is supported by companies ITEC and Euromedicom (Group Informa Healthcare), number one in congress organisation in the field of beauty medicine, anti-age and cosmetics (AMWC Monaco, Moscow, AMEC Paris, Aesthetic Asia, Beyond Beauty…). More than hundred advertisers (Nescens, Sisley, Bioderma, Soskin, Allergan, Audemars Piguet, LPG, Vivacy, TA Sciences, Philips, Nobel Biocare, Filorga, Syneron, Galderma…) work together with the Magazine.